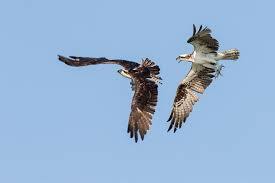 It’s not the size of the Osprey in the fight, but the size of the fight in the Osprey. 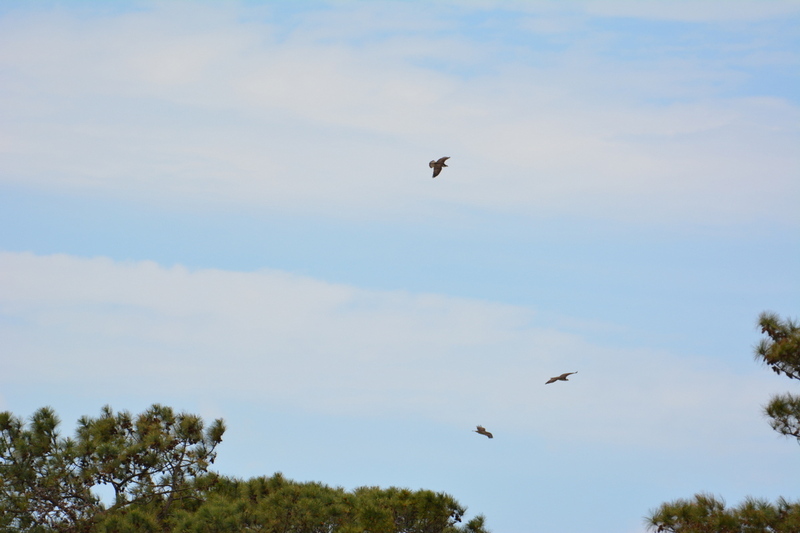 An inexperienced Ozzie flew straight into Ivan’s outstretched talons. They ripped the feathers off the left side of his forehead. He realized he had been lucky and that he must control his rage. Ozzie made a stupendous back flip aerial dive and like an arrow came up from below. Ivan, single, and driven by young adult promiscuity, flew across the North River marsh. He spied Harriett as she was rearranging her nest in preparation for Ozzie’s next delivery. Make no mistake about it, Ivan is a bad actor. He has no scruples. And there was Harriett, alone, attractive as ever, setting up home in the Taj Mahal. 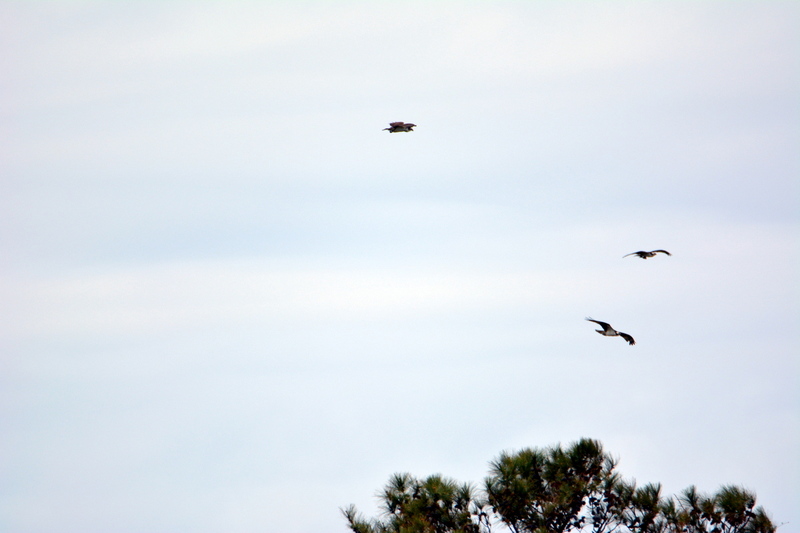 It’s no surprise he chose their nest to attack this afternoon. The thought of that stranger in his nest with Harriett made him sick. Blindly furious, deliriously possessed, Ozzie set off to fight. Sometimes a character flaw exist for purpose. The battle took place Sunday. 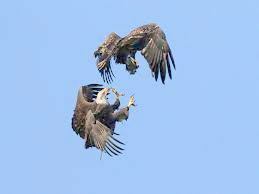 It wasn’t just a fight between the two males; Harriett fought alongside Ozzie the entire time. The two males jockeyed for position for prolonged periods of time. Every 10-15 minutes one of the males would attack the other, but little damage seemed to occur. 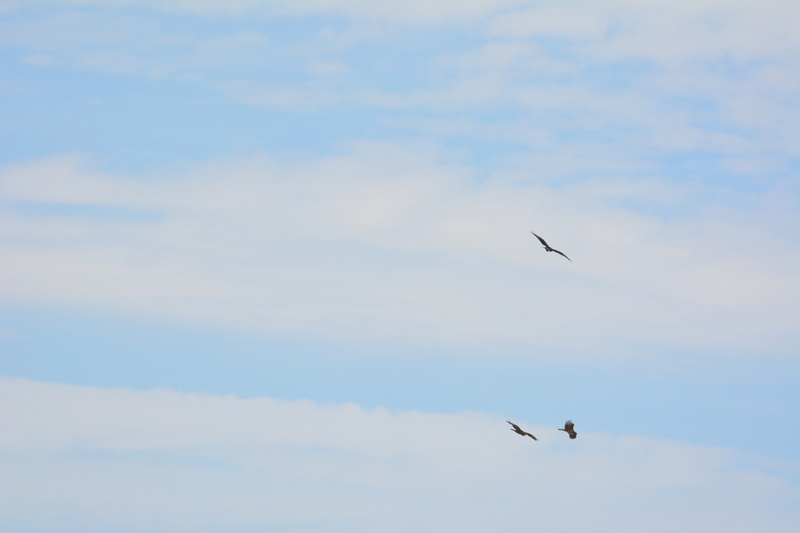 It looked like whoever could get an aerodynamic advantage, he would pecked the other. The fight was a rare spectacle for the Doctor and his female H sapien. The Doctor caught bits of it on his new camera. He has a new lens, as you might suspect from these images. The female H. sapien, that lives with the Doctor in his giant nest, on the bank of the North River, captured video images with her cell phone. What will Harriett do if Ivan prevails? Harriett doesn’t want to think about it. She does not have time to think about it. She is fully, actively engaged in the battle.